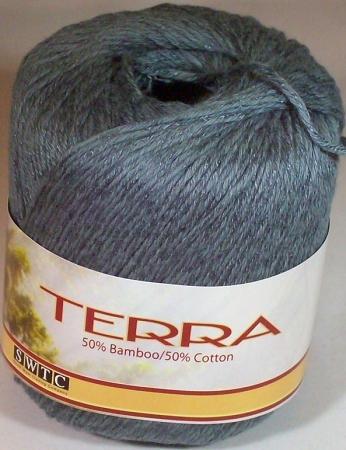 1.75-oz (50-gram) balls of SWTC Terra yarn. Each ball contains approximately 120 yards. South West Trading Company is the pioneer in Earth Friendly fiber and yarn for the hand knitting industry. It offers unique and innovative fibers. 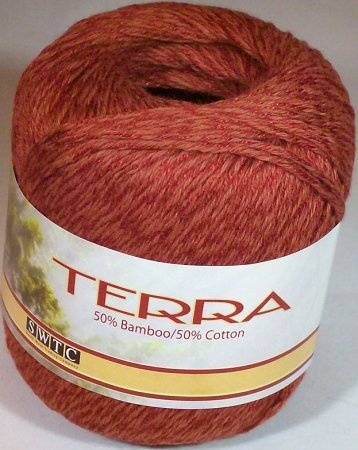 Terra is a lightweight, bamboo and cotton yarn that is perfect for summer knitting. The bamboo gives a lustrous sheen and silky soft feel to the fabric. 50% Bamboo, 50% Cotton. 24 stitches = 4" on US size 5 needles.